Elderberry Healthcare was established in 1989 to serve the needs of Madison County and the surrounding communities’ senior population. Many families in Madison County have experienced the compassionate care and attentiveness that our staff provides. Today we care for a wide variety of individualized healthcare needs. 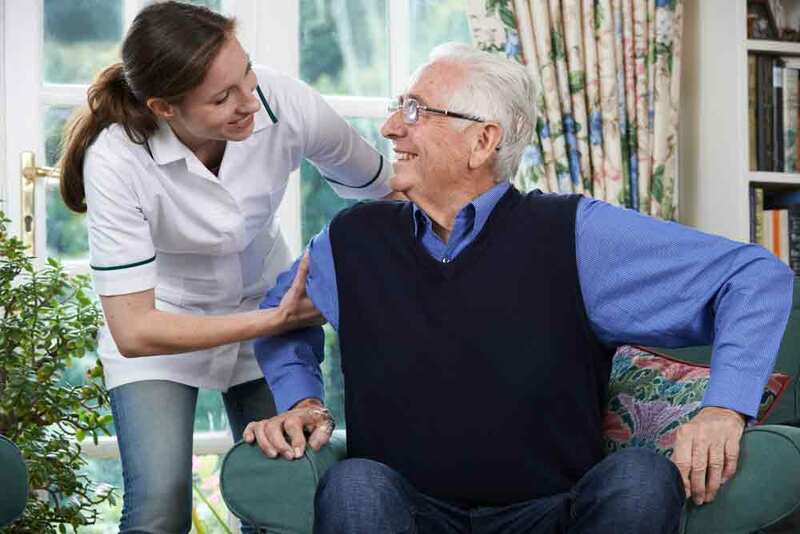 With 3 distinct levels of care, we help seniors who need minimal support in our Assisted Living; around the clock nursing care in our Skilled Nursing Unit; and Transitional Rehabilitation services for post-operative patients like orthopedic knee and hip replacements. 98% of transitional patients would return! Q: Your website mentions “transitional rehab”. How long will I stay if I come for rehab? A: The length of your stay depends upon your individual needs, and of course, the input of your physician and insurance plan. Many of our “transitional rehab” patients are here for 5-10 days. Q: How much therapy will I receive during my stay? A: Your individual needs and your physician drive all of our care. We provide all three therapies: physical, speech, and occupational. Our rehab services are available 7 days a week. A: Following a qualifying stay at a hospital and the medical need for skilled nursing care, Medicare will pay for your stay. From Day 1 through Day 20, Medicare pays 100% of the covered charges. For Days 21 through 100, Medicare will pay 80% of covered charges as long as you continue to have a medical need for skilled nursing care. For many patients, a “secondary” or “supplement” insurance plan may cover the remaining 20%. A: We contract with various commercial insurance companies including many Medicare Advantage Plans. With so many individualized plans, we ask that you contact us at 828-649-9345 so that we can determine what coverage you have! Q: Tell me about your staffing ratios! A: We have found that the results of our staffing model are best expressed through our patient satisfaction surveys. Our surveys have consistently shown high scores across the spectrum of our nine questions. Those questions include our timely response to requests, the quality of our food and our patients’ willingness to return to us for other services!